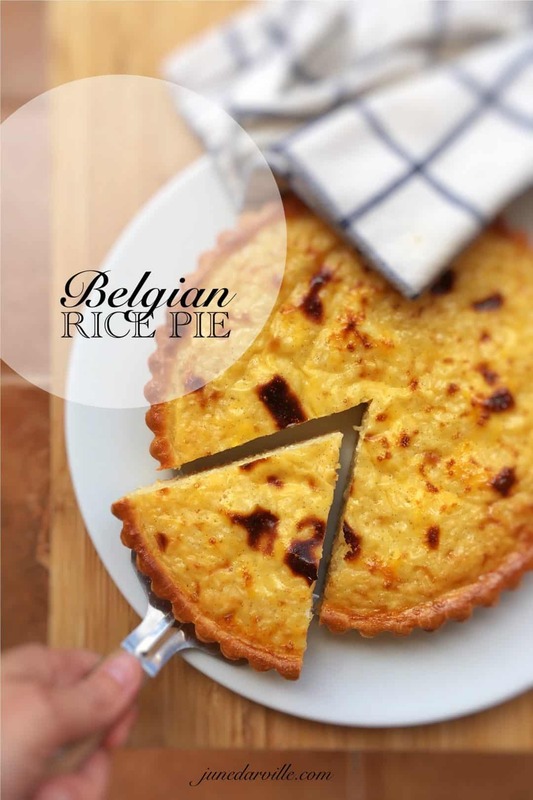 Classic Homemade Belgian Rice Pie Recipe | Simple. Tasty. Good. I love this old-fashioned Belgian rice pie recipe so so much. Sunday afternoon cups of coffee and rice pie, what a treat! Those are great childhood food memories. This rice pie is such a classic. Do you know any other popular Belgian treats? Apart from waffles I mean. There’s this stuffed pastry tart from the Flemish city of Geraardsbergen (Grammont) called mattentaart, a puff pastry stuffed with a mixture of milk, buttermilk, almonds and eggs. Another well known dessert is Limburgse vlaai, or a fruit pie from the Limburg region. Love this rice pie recipe? Then also check out another Belgian classic pie: sugar pie! Creamy baked rice pudding in a soft pie crust... this rice pie recipe is a classic Belgian dessert! 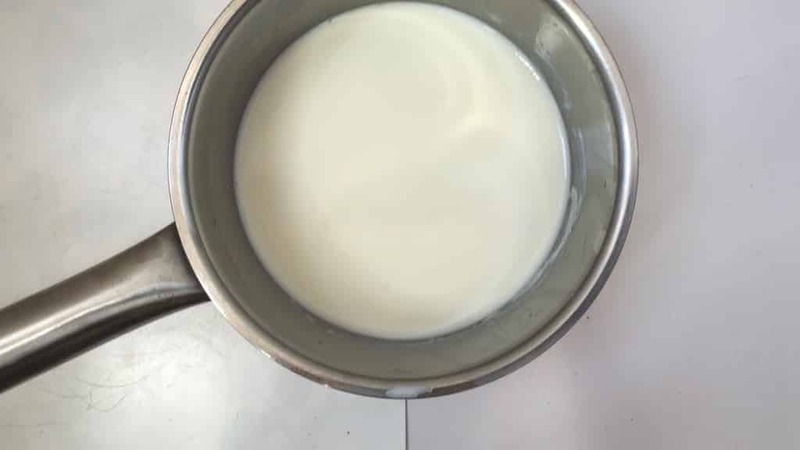 Warm ¼ cup (60 ml) of milk until it is tepid, don’t let it simmer. 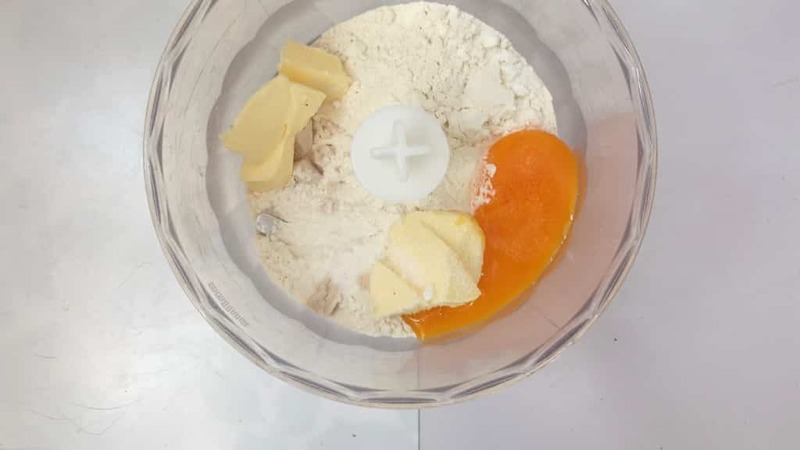 Add the all purpose flour, fresh yeast, cold unsalted butter, 1 egg yolk, a pinch of salt and 2 teaspoons of the caster sugar to a blender. Place the pan over medium-high heat and bring to a gentle boil. 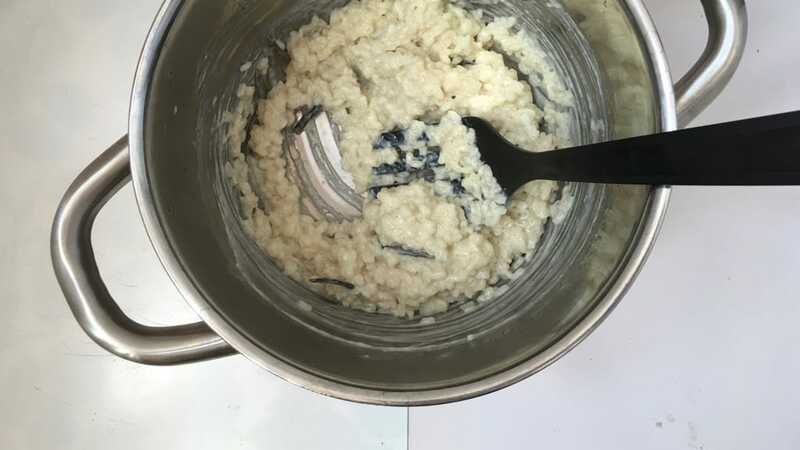 Then turn the heat lower and simmer the rice for about 20 minutes or until it is almost tender and the milk has almost disappeared. Keep an eye on it or the rice might burn. 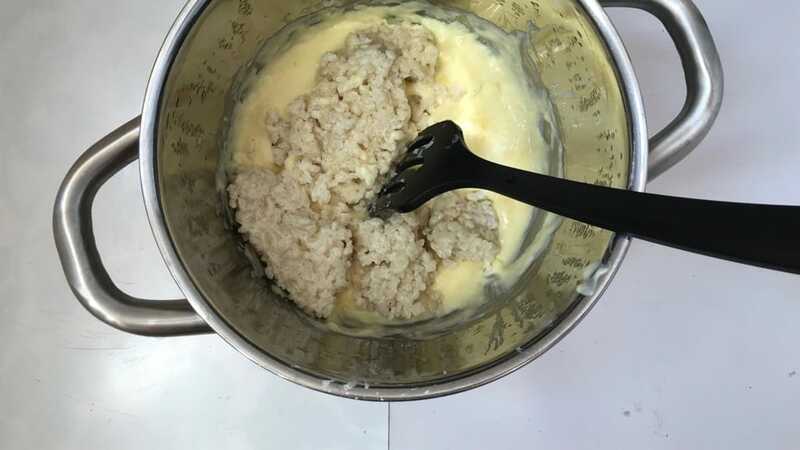 Take the pan off the heat and stir in the cream just to keep the rice moist or the pie will be too dry. Remove the vanilla bean. 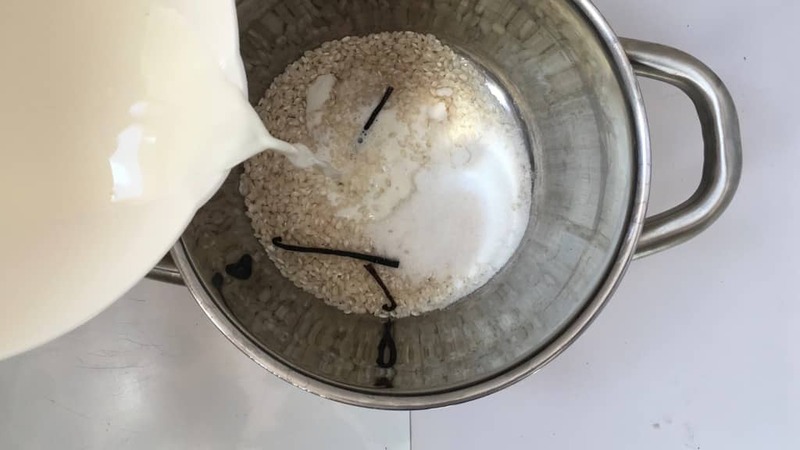 Heat the rest of the milk in a small saucepan. 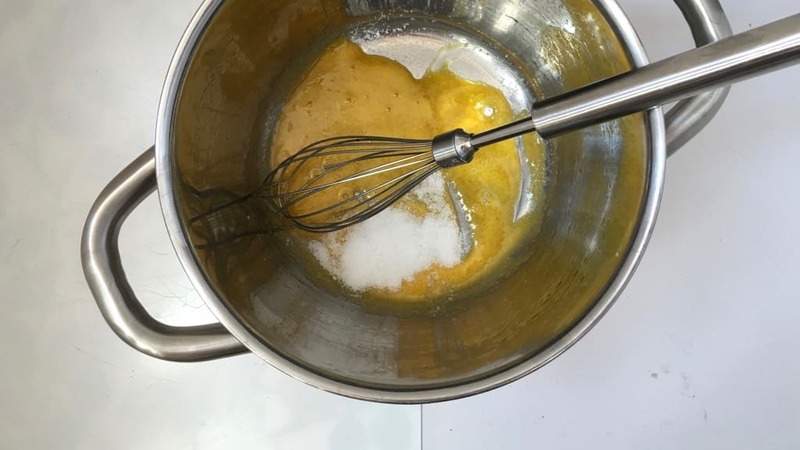 In a separate saucepan add 1 egg yolk and half of the remaining caster sugar. 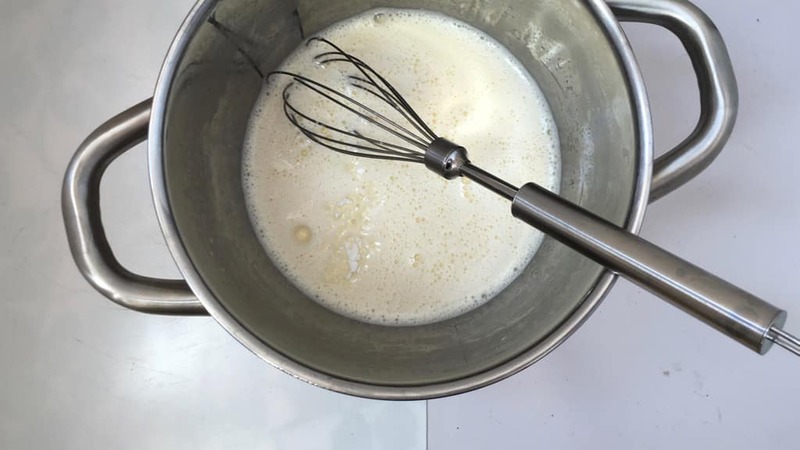 Whisk into a creamy mixture and then add the rest of the sugar as well. 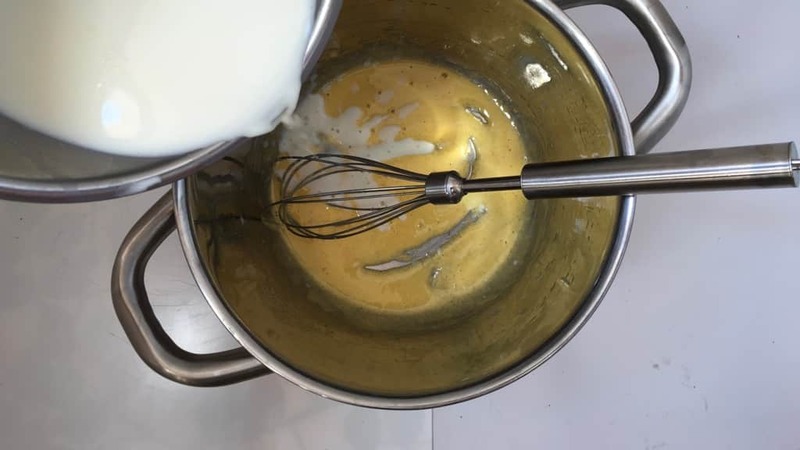 Stir the creamy yolk mixture for another minute. Then place the saucepan over medium heat and gradually pour in the hot milk while stirring constantly. 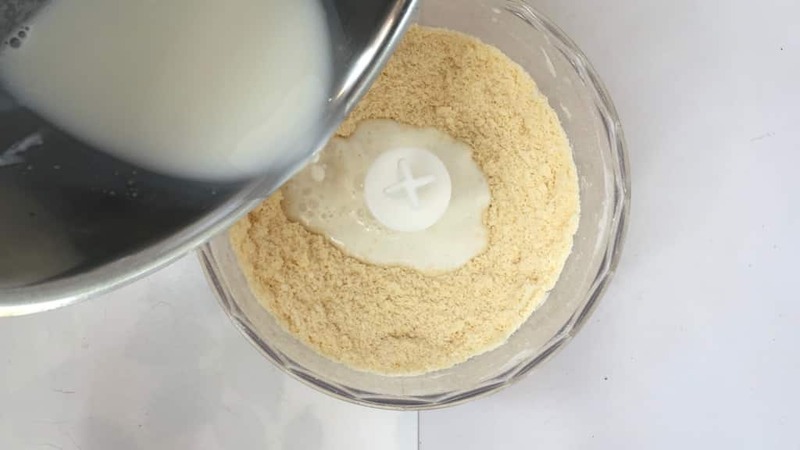 Once the milk is added, add the cornstarch (or instant vanilla pudding powder) as well. 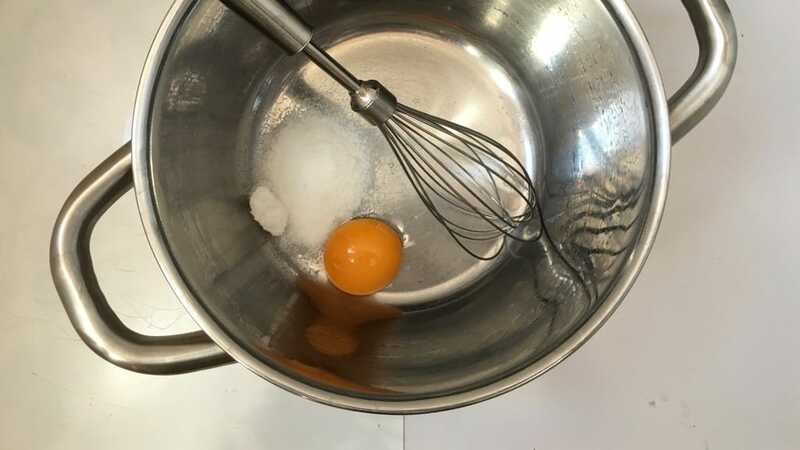 Bring the yolk mixture to a light boil for 4 minutes until it thickens and turns into a runny custard consistency. Stir regularly. 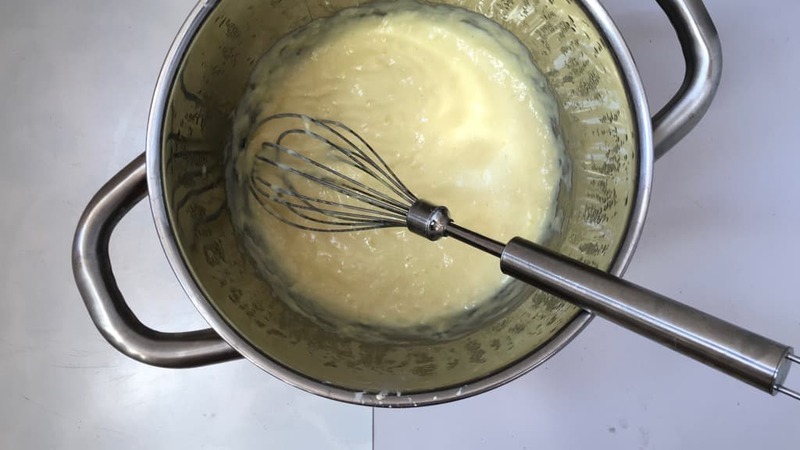 Add this warm custard to the cooked rice and stir well. Put the rice aside for now. 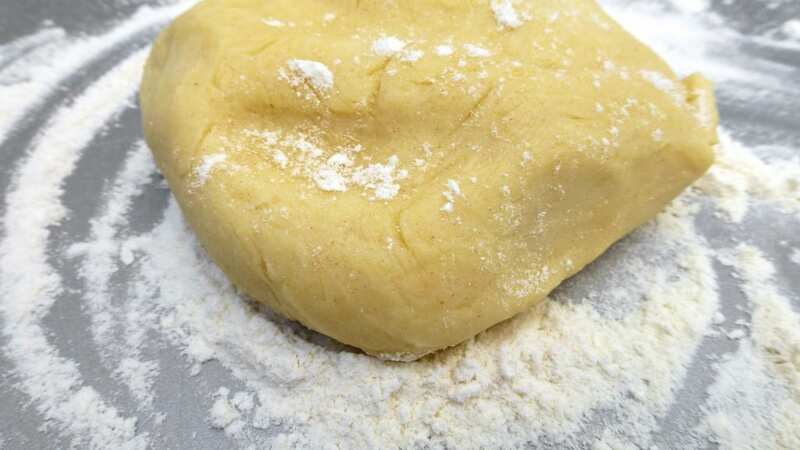 Roll out the dough on a well floured surface and coat a tart tin with it. I used a small tin of 8 inches (20 cm) in diameter. 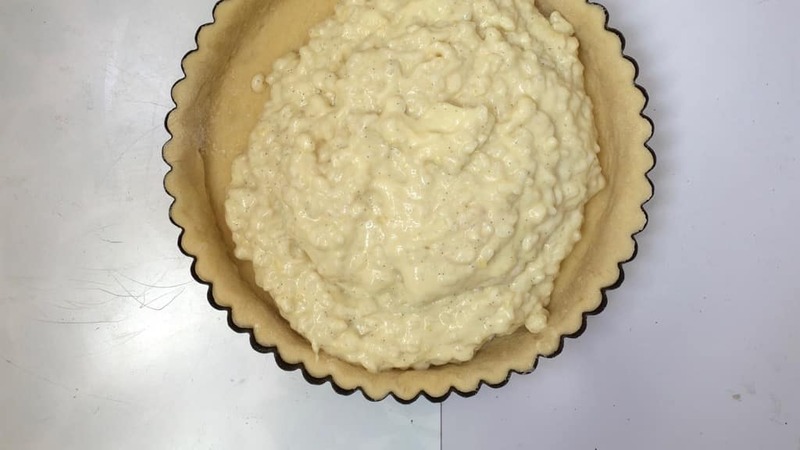 Scoop the creamy rice filling in it and spread it evenly. 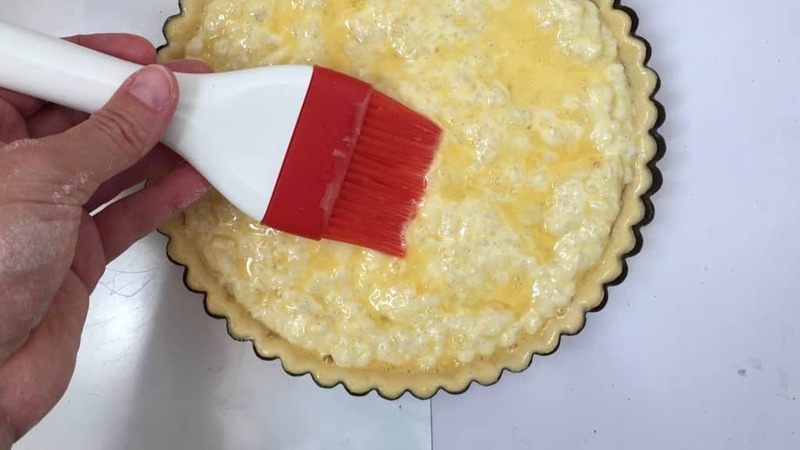 Beat the remaining egg and brush the top with the egg wash.
Bake the rice pie in a preheated oven at 356°F (180°C) for about 35 minutes until the top and the crust is golden brown. 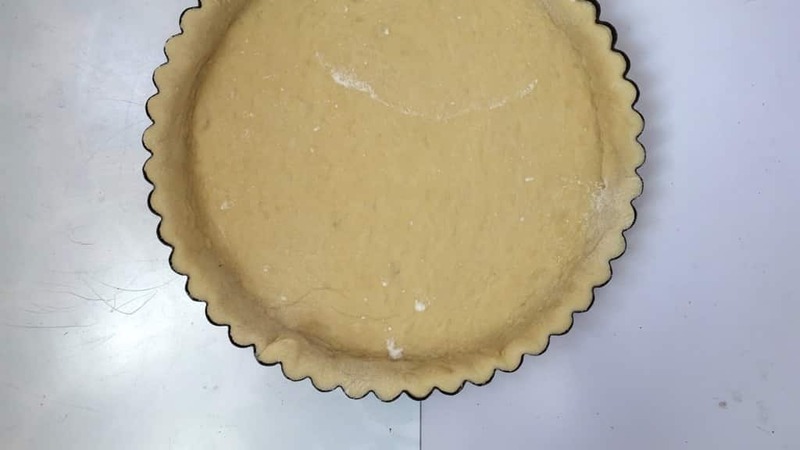 Remove the freshly baked pie from the oven and let it cool in its tin for 10 minutes. Cut it into wedges and serve lukewarm. what type of rice can we use to make this ? can we use instant dry yeast instead ? 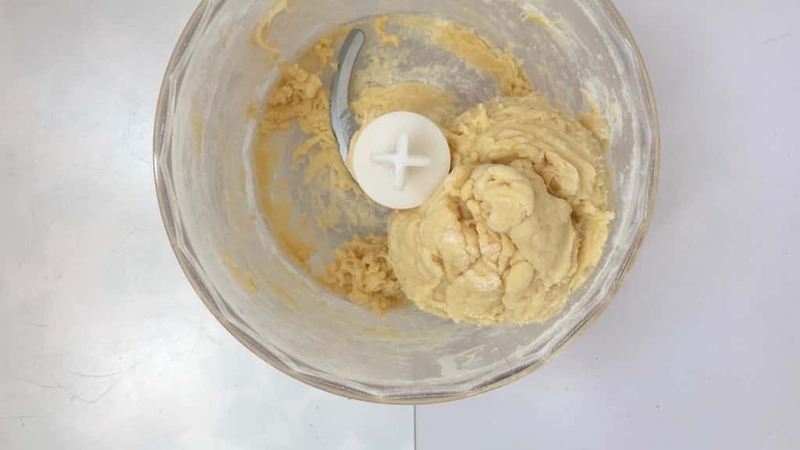 also it’s quite warm weather here and it can get up to 35c so is it a good idea to leave the dough outside and not in the fridge ? while preparing the rest of the ingredient. Did you make the pie again? I’d love to make it after visiting Beligium recently and falling for this tart. Was 85g of rice enough? Verdomme, de tranen springen me in de ogen! Hier in A’dam kun je zo’n rijstvlaai niet kopen. Tenminste, je kunt iets kopen dat ‘rijstvlaai’ heet, maar dat is toch weer een héél ander recept.